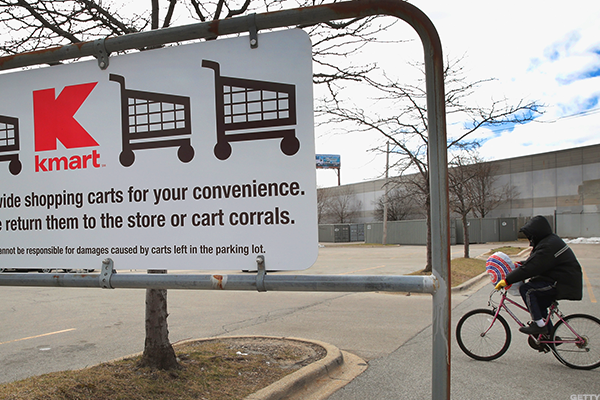 Sears Holdings Corp. is closing 265 Sears and Kmart stores this year. My only memory of visiting Kmart was several years ago when I went with my parents to return an item. Pretty telling. 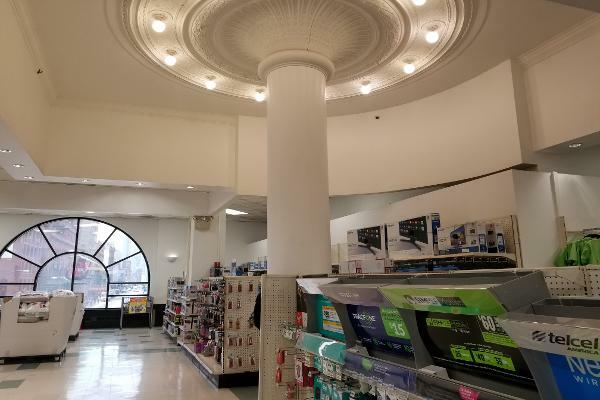 I visited a Kmart store in New York City on Tuesday to get a better look at the place that I had mostly heard about in the news when it was announcing a location was shuttering. After reflecting on my trip, it makes sense why Sears Holdings Corp. (SHLD is closing 265 stores this year (many of which are Kmart stores), why it has failed to turn a profit in 29 of the past 37 quarters and why it has seen same-store sales decline in 11 of the past 12 quarters. A Sears Holdings spokesman did not return a request for comment. The company's shares were up 3.2% to $9.14 by Monday's close. Despite the building's historical charm and character, the store in Manhattan was unwelcoming. 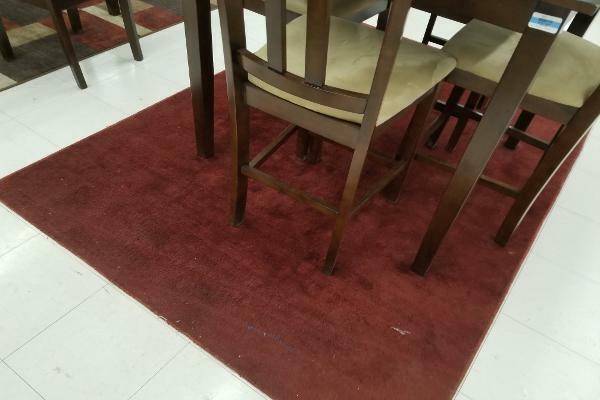 Although the interactions I had with employees were positive (unlike my colleague's recent trip to Sears), the place was dirty. We definitely longed for the neat aisles of Walmart (WMT - Get Report) and Target (TGT - Get Report) . Here are 16 photos of my observations. Editors' pick: Originally published June 27. The first thing I noticed when I walked through the door were the floors. All over, the tiles were cracked and indented. 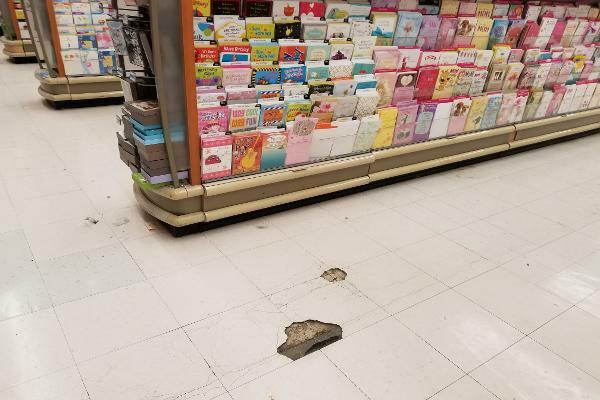 Parts of tiles were missing, too, and my shoe got caught on this one. Despite the door for this hole in one of the walls having a lock, it was open and within reach of a child's height. 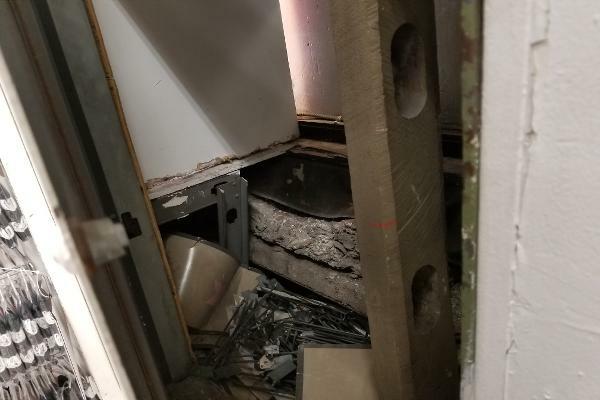 Inside were wires. 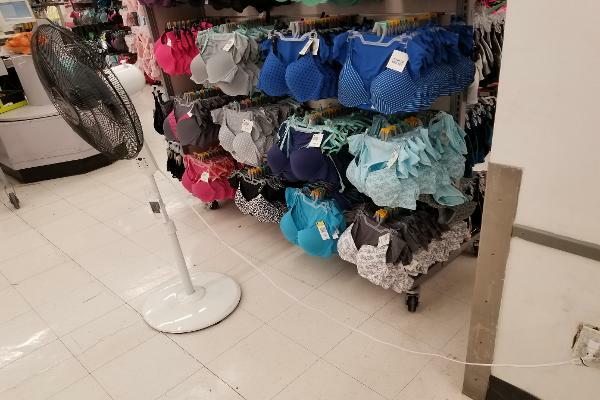 It definitely did not feel like the store had air conditioning, and there were several fans plugged in and running but the place was still too warm. 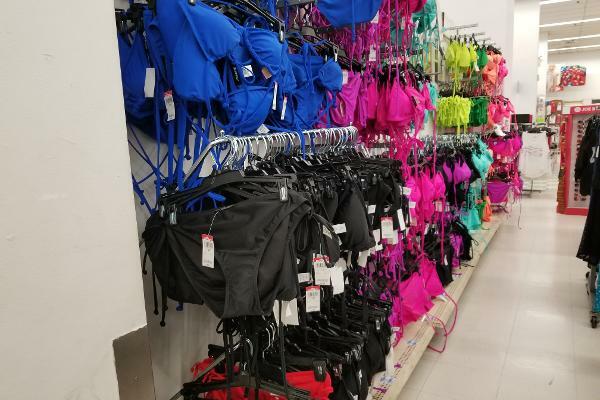 Normally by this time of year, stores are selling out of beach wear and swim toys, but the merchandise at Kmart looked as though hardly anyone had touched it. 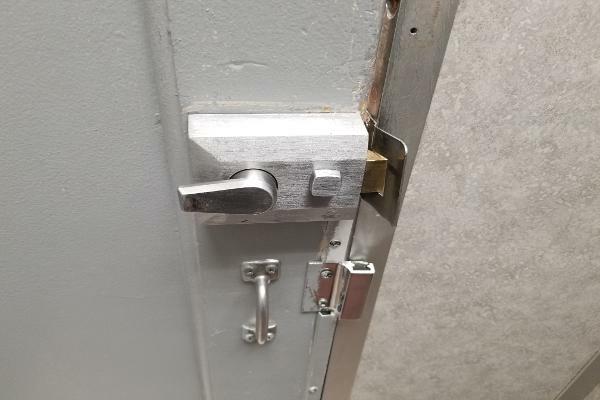 Nothing is wrong with this lock, but I thought it was odd that the employee overseeing the fitting rooms had to use a hanger to unlock the door of a changing station. When I visited, the elevator was not operating. 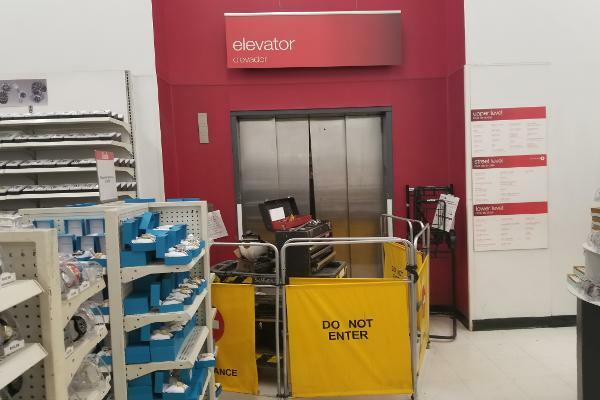 Although it appears someone is working on fixing it, this makes it difficult to use a shopping cart or for someone who cannot use an escalator to access the three levels of the store. 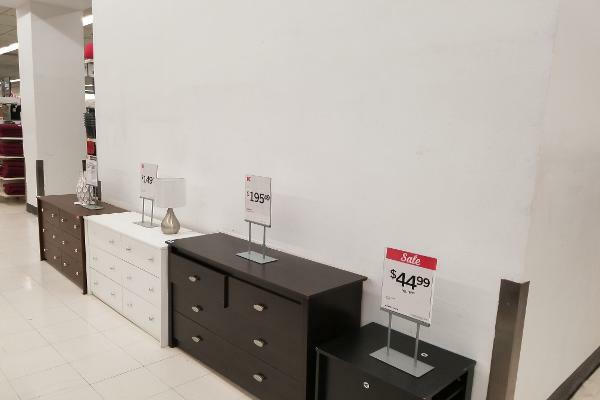 I like minimalism, but there was just so many white walls that it made it cold, uninviting and nearly impossible to picture any of these dressers furnishing a home. I'm pretty sure that even with a dog and two cats, my parents have cleaner rugs than what were under the dining room sets. The vacuums were just a couple aisles away. 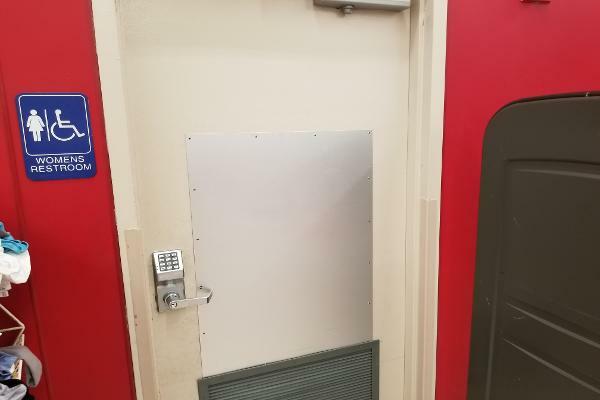 Customers who wanted to use the public restrooms needed a passcode to get into them. I saw one person have to walk across the store to get the code from an employee. Inside, the soap dispensers attached to the wall were empty, though a plastic soap dispenser was sitting on the counter. The baby changing station was also a mess with food crumbs all over the place. Some merchandise was strewn about on shelves. Plastic wraps and owner's manuals cluttered the items. 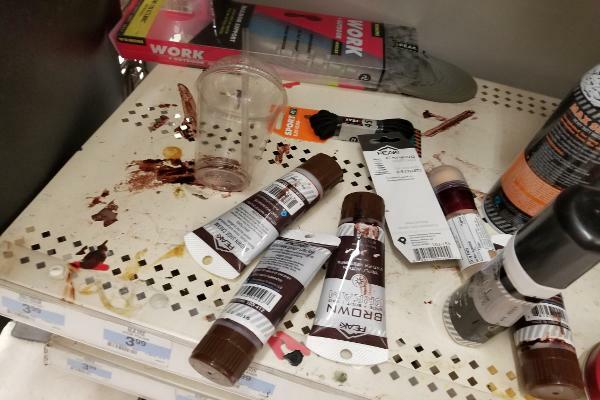 Nail polishes and paints spilled out, while plastic cups are left behind or leave rings on clothing display tables. I almost missed this gem up above. Nothing drew my eye to the architecture, and it all felt forgotten in a corner of the top floor. That's a shame, because the ceiling design really gave the place some character. 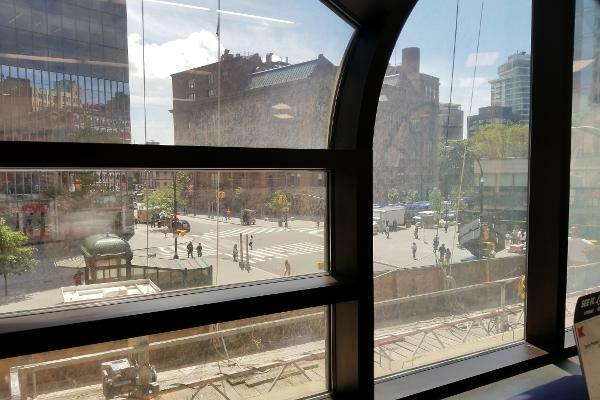 This old building had the most beautiful, giant windows that looked down into Astor Place, but the windows were so dirty, it was hard to enjoy the view. 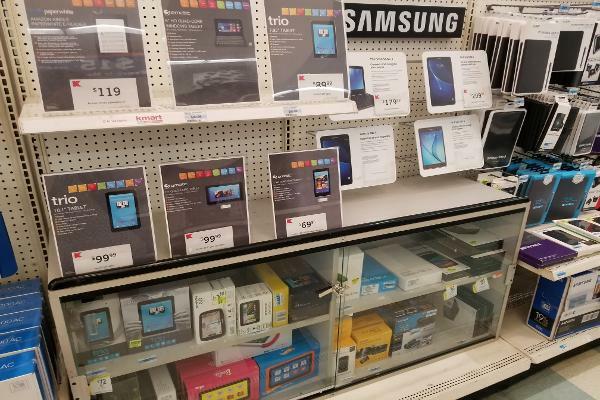 Typically when I visit the electronics section of a store, the tablets are on display so that I can touch and hold them to figure out which is best for me. 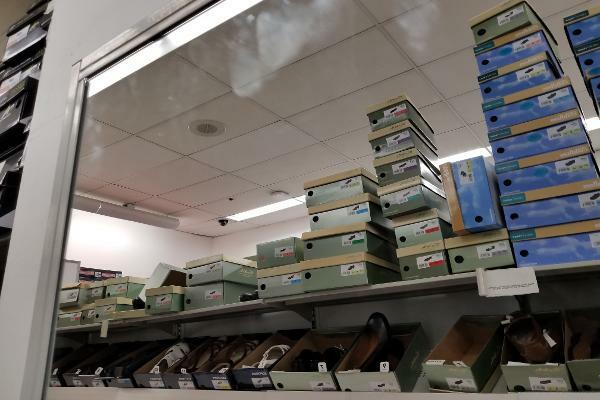 At Kmart, they were locked away with just images on the shelves. Like at Sears when TheStreet recently visited, the cash registers at Kmart looked older than me. This more modern computer was working, but there was something wrong with the monitor's display in the corner. 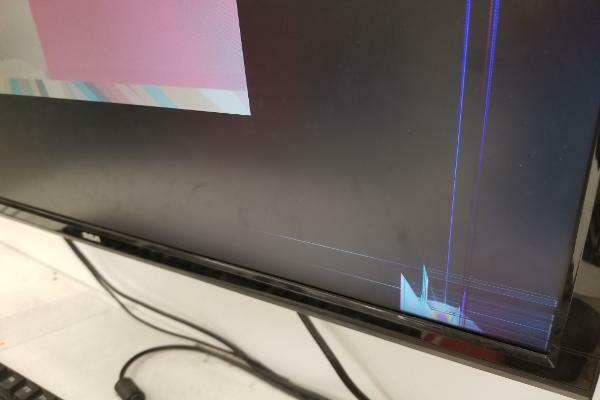 That does not give me confidence in the electronics being sold. How Am I Supposed to Take a Mirror Selfie? Many of the mirrors throughout the store had hand prints and smudges. That is a bit distracting if I am trying on a cute outfit or pair of shoes. 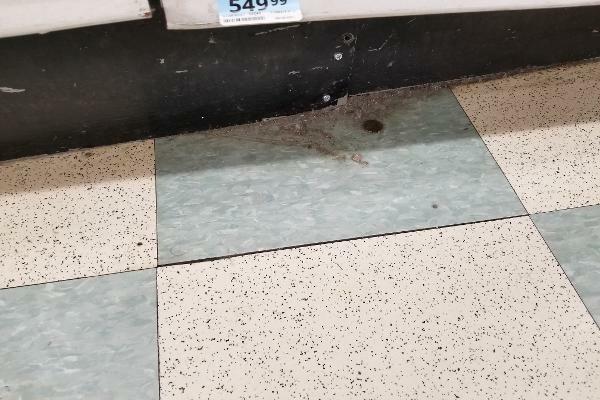 Dust bunnies, crumbled-up paper balls and plastic wrappings littered the floors even though I spotted two brooms in one of the dark corners of the store. All of that does not make the food on the shelves appetizing.